Formula D Parade in Downtown Long Beach Today! 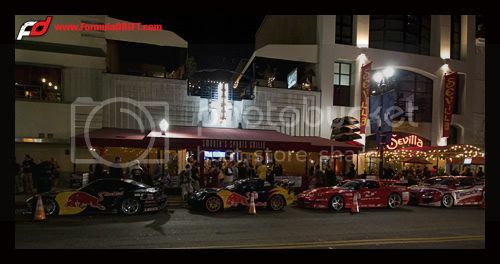 Long Beach, California on Thursday April 9th, 2009 will host the pre Formula D Long Beach party at Smooth’s in downtown Long Beach. The event will kick off at 5:00pm and run until 9:00pm. Along with the Formula D cars out front and the parade to and from the pits, meet the cars and stars of Formula D, drivers autograph signing, a DVD premiere of Samuel Hubinette’s Drift Ya Later will be shown at Smooth’s in Long Beach, and its free open to the public! Continue reading Formula D Parade in Downtown Long Beach Today!